February 16, 2015 February 16, 2015 Britney CrossonLeave a Comment on Flying With a Preschooler and a Baby Alone – You can do it! 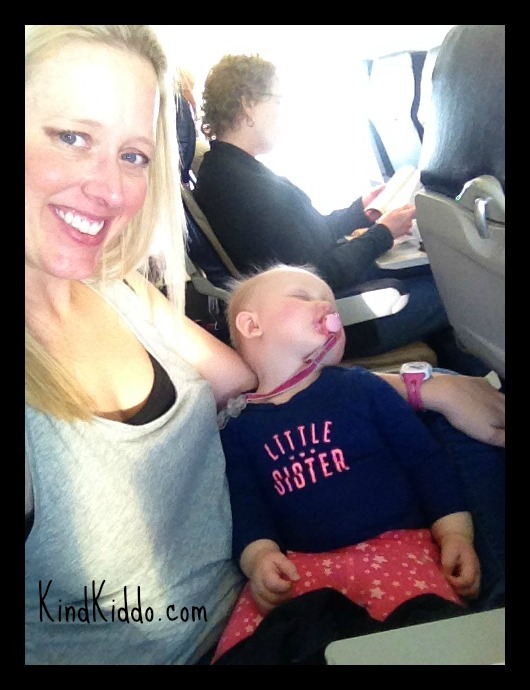 Flying With a Preschooler and a Baby Alone – You can do it! My little family has recently gone through some big changes due to my husband’s career. He is working out of state for the better part of this year, therefore the kiddos and I are spending much of our time with him. But we are also going to be traveling many times throughout the year without him to be with family and friends in Texas. 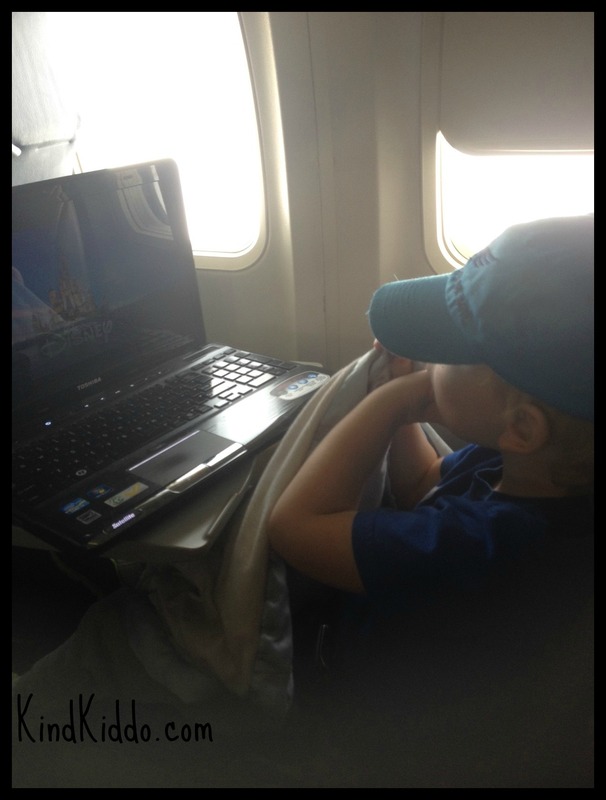 I must say that the thought of traveling on an airplane with a 3-year-old and a baby made me feel a bit nervous. Wanna know what the first thing I did to prepare was? I googled it. And guess what I read… a mom blog! Perfect! (Thanks for the inspiration and confidence boost Jen Loves Kev!) Okay, good. I was already feeling better about everything after reading her tips. 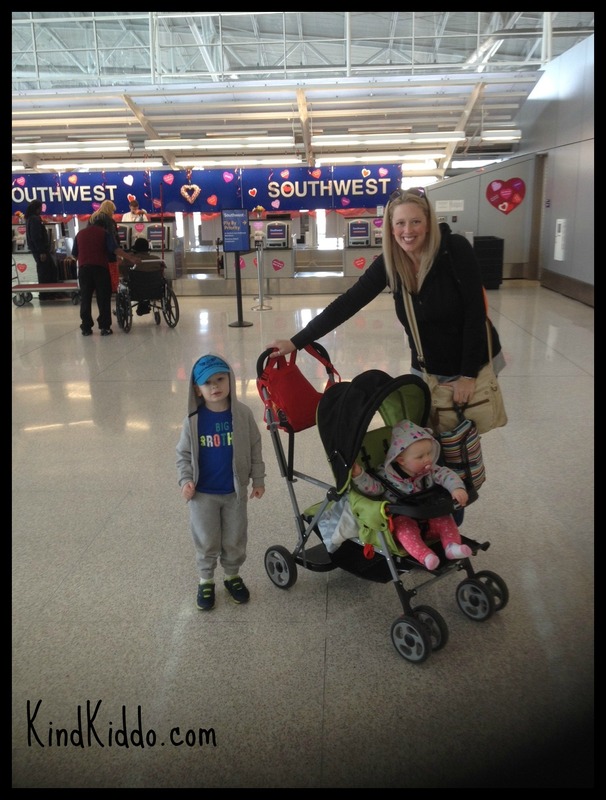 So, here’s my story about the very first time my babes and I flew 1,000 miles together. First of all, we flew on Southwest. I love Southwest Airlines. No, they’re not perfect. Nobody is. But compared to their competition, they really do shine. The fares are typically on the low end, and you get a carry-on, a personal item, 2 checked bags and a free snack and drink all included in the price of your fare. Yes, please and thank you. I chose to only purchase 2 tickets for Rowdy and myself, and have Romy, my baby daughter, ride on my lap (babies under 2 can ride on your lap). Doing this saved me about $300, BUT this was the main part of the trip that made me nervous. There are 3 seats in a Southwest plane’s row, and I was already picturing her reaching and grabbing the stranger next to us while screaming crying and spitting up in my hair. But did I mention I saved $300? Yeah. Sorry to whomever was to sit next to us, but money talks. We arrived at the airport that morning with my husband escorting us all the way to security. Checking in our 2 suitcases was easy. I carried on a backpack and my cross-body purse (this allowed my hands to be free to handle my babes). Rowdy had his own backpack filled with snacks, a book and his Leapad, and we were able to use the stroller throughout the airport. Going through security was rather pleasant, actually. The TSA agents at the Indianapolis International Airport have to be the kindest that I’ve ever dealt with. 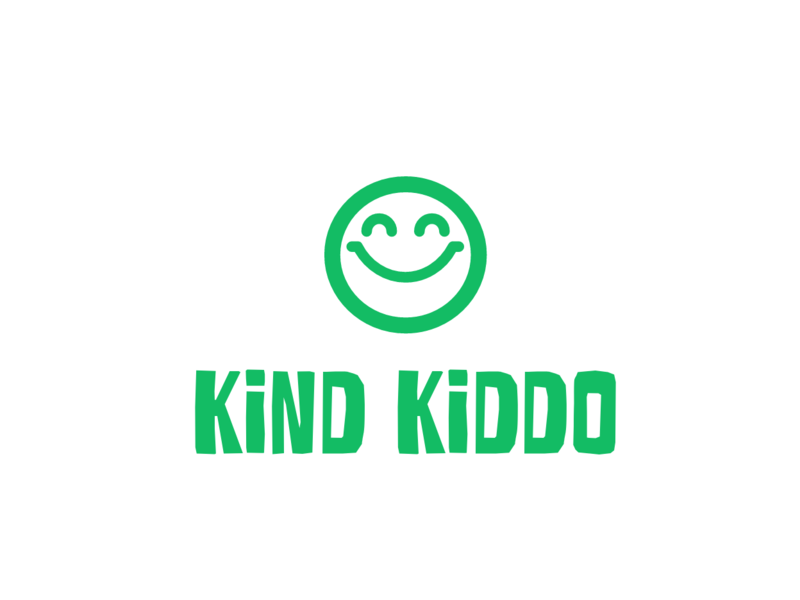 Kindness may always be a beautiful thing, but it’s especially beautiful when you’re at a strange airport going through security alone with your preschooler and baby. So, thank you, nice people. 🙂 We got to our gate, found a seat and I started feeding my cute little dependents right away. After all, hungry kids on an airplane sounded pretty disastrous to me. It wasn’t long before it was time for us to board the plane. Once we got to the bottom of the ramp right before entering the plane, I had to fold up the stroller and leave it there for them to load it in the bottom of the plane. The only problem here was that I have to use both hands to fold up the stroller, and Romy doesn’t walk yet. So I literally just had to sit her on the floor hoping nobody would step on her fingers as I folded up the stroller. I got an offer of help from a dude behind me, but I was already almost done folding it up. The offer was nice though and really made me feel more at ease. We headed toward the very back row of the plane because I felt that’s where we belonged. I mean, come on. That is definitely where we belonged. And then the most wonderful news I’d heard all day – the flight was not full and we were allowed to use up all 3 seats in our row! It was our lucky day! The flight attendants were very nice and even helped me juggle the kiddos when Rowdy and I needed potty breaks. Unfortunately, I also had to change Romy’s diaper during the flight. These plane bathrooms are smaller than porta-potties, so you can imagine how fun that was. But all together the flight went well. Rowdy spent the majority of the time watching Frozen on my computer. Romy napped for a bit and only fussed minimally. Looking back, these are the highlights for me. Using a backpack and cross-body bag was super helpful and allowed my hands to be free to do all the millions of things you do when you’re hanging out with little ones. Also, bringing along snacks that I knew Rowdy loved was definitely smart. Yes, we got a free snack on the plane, but he’s a picky eater. It felt nice knowing that we were prepared in that aspect. (I also brought a full baby bottle, enough supplies to make another bottle and some baby snacks.) And finally, because we were lucky enough to have all 3 seats in our row, it made me realize how crowded things would have been with just 2 seats. Because of that fact, I was inspired to purchase 3 tickets for our next trip instead of 2. Saving $300 is nice, but my sanity is worth a little more…a little. Stay tuned for more updates on our traveling adventures throughout the year.